Minister of Justice, Hon. Delroy Chuck, says persons who have committed non-fatal offences and agree to enter guilty pleas in exchange for lighter sentences could later have their records expunged from the system. “We need more guilty pleas to clear the massive court backlog. We are going to change the Criminal Justice (Plea Negotiations and Agreement) Act where records can later be expunged as part of an incentive to have more guilty pleas,” Minister Chuck explained. 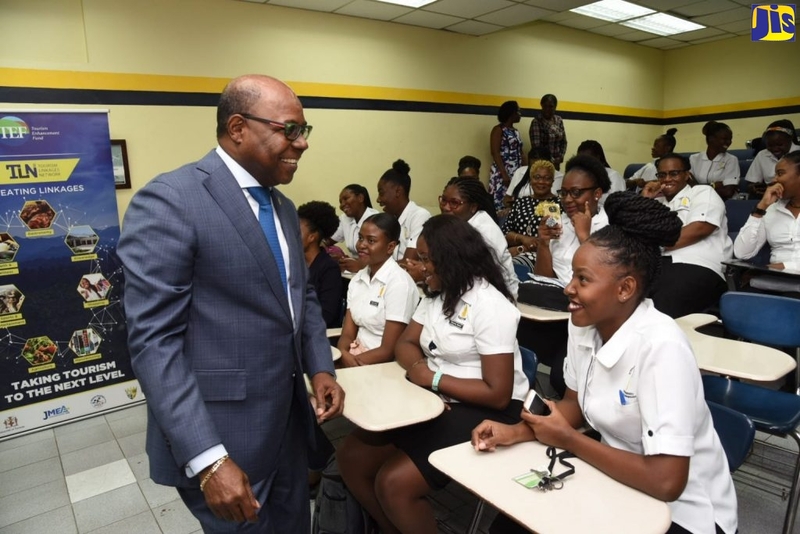 The Minister pointed out that in the United States, an estimated 90 per cent of cases are resolved by way of plea-bargaining arrangements where both the State and the defence counsel agree on a lighter sentence in exchange for a guilty plea. In Canada, more than 50 per cent of cases are disposed of in this manner. He noted that this consideration would only be for persons who, following their sentences, have refrained from criminality and have sufficiently demonstrated that they have been rehabilitated. “The backlog will never be addressed if we continue to have cases that are clogging the system,” he added. Minister Chuck was speaking at a swearing-in ceremony for 37 new justices of the peace (JPs) for St. Ann held at the Hibiscus Lodge Hotel in Ocho Rios. “We have to get guilty people to understand, especially in the not-so-serious cases, that they will have the mercy of the State if they enter into a plea-bargaining arrangement,” he pointed out. He noted that there are too many civil matters that are literally drowning the system and putting tremendous pressure on judges. “Many of these civil matters can be resolved through simple mediation and lessen the burden on the courts,” he said. “If we are really serious about dealing with this problem, then we are going to have all hands on deck. It has to be a concerted effort on the part of our judges, our prosecutors, our defence counsels and their clients to get many of these cases off the court dockets,” he added. “You have been selected as justices of the peace because the custos of your parish holds you in the highest of regard. We are expecting great things from you. We are expecting you to be the true community stalwarts that will assist in making our justice system be the best that it can possibly be,” he added.